How do you trust someone who lies for a living? Don’t all writers lie to some degree or another? Come find out in this wonderfully written piece of postmodern literature! 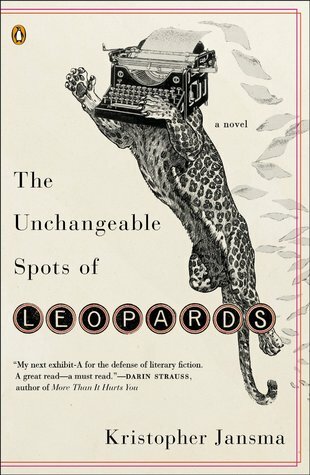 Thanks to the publisher, I am ecstatic to be able to offer a copy of The Unchangeable Spots of Leopards by Kristopher Jansma for your enjoyment! Winners will be announced 3/6/14. I’ve heard a lot of good things about this book and the new PB has such a clever cover, don’t you think? I’d be very happy to win a copy.